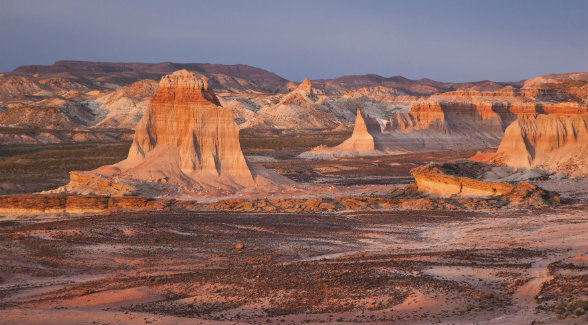 The Washington Post takes a critical look at the Land Report 100. The federal government is by far the nation’s biggest landowner, holding 640 million acres of purple mountains, fruited plains and amber waves of grain in the name of the American public. 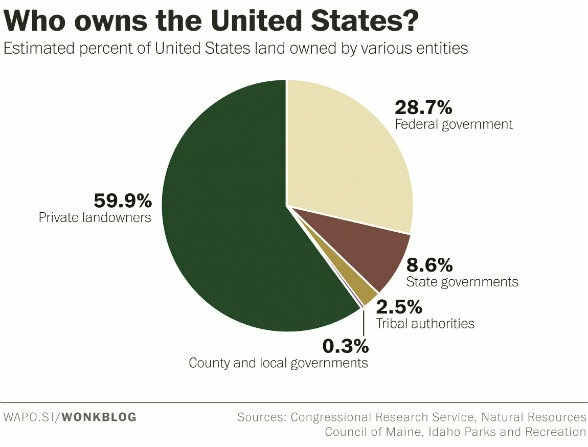 But over the past decade, the nation’s wealthiest private landowners have been laying claim to ever-larger tracts of the countryside, according to data compiled by The Land Report, a magazine about land ownership in America. 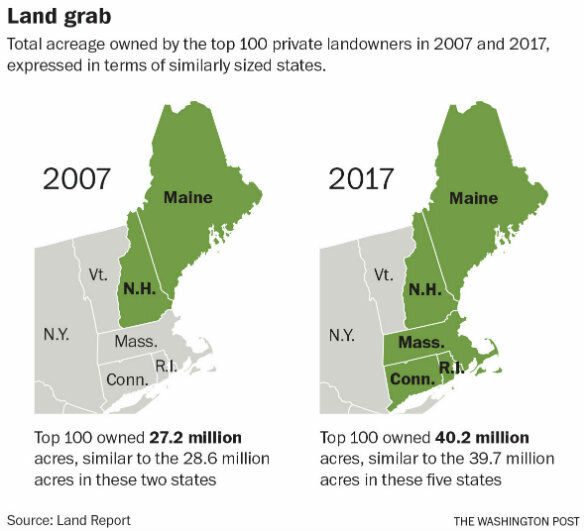 In 2007, according to The Land Report, the nation’s 100 largest private landowners owned a combined 27 million acres of land — equivalent to the area of Maine and New Hampshire combined. A decade later, the 100 largest landowners have holdings of 40.2 million acres, an increase of nearly 50 percent. Their holdings are equivalent in area to the entirety of New England, minus Vermont. 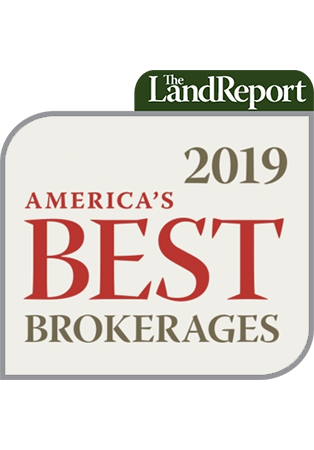 Those rising numbers represent “the growing appeal of land as an asset class,” says Eric O’Keefe, editor of The Land Report, in an interview. LAND GRAB. Total acreage owned by the top 100 private landowners in 2007 and 2017, expressed in terms of similarly sized states. The stock market has been on a tear in recent years, and some wealthy individuals have been looking to cash out and park their assets in a safe place. That’s where land comes in. Paper fortunes appear and vanish in the span of days on Wall Street, but land isn’t going anywhere. Investors are particularly interested in productive land — property that can be used to raise cattle, mine minerals, produce timber or grow crops. That’s because when the Dow Jones industrial average lost over half its value between 2007 and 2009, over that same period “productive land correction was less than five percent,” according to O’Keefe. Like stocks, income, and wealth in general, land ownership is concentrated among the upper class. According to a recent working paper by New York University economist Edward Wolff, in 2016 the wealthiest 1 percent of households owned 40 percent of the nation’s non-home real estate, while the next 9 percent of households owned another 42 percent. That left the remaining 90 percent of households owning just 18 percent of the country’s non-home real estate. A 2015 paper by the Department of Commerce’s Bureau of Economic Analysis estimated that the total value of land in the Lower 48 states was roughly $23 trillion in 2009, with $1.8 trillion of that value owned by the federal government. The nation’s largest private landowner is telecom baron John Malone, with 2.2 million acres — an area considerably larger than the state of Delaware — to his name in 2017. Ted Turner is No. 2 on the list, with an even 2 million acres. O’Keefe says that one common thread among the nation’s top private landowners is their sports team ownership. Malone and Turner have both owned the Atlanta Braves, while the No. 4 landowner Stan Kroenke, with 1.38 million acres, currently owns the Denver Nuggets, the Colorado Avalanche, and the Los Angeles Rams. Back in 2008, you needed about 76,000 acres to appear in The Land Report’s list of the nation’s top 100 landowners. Today, the cutoff to make the list is approximately double that figure, some 145,000 acres. The median holdings of the top 100 landowners rose from 160,000 acres to 250,000 acres over that time period. Part of that increase, O’Keefe says, reflects improvements in data collection and availability. His staff scours property records, tax rolls, corporate filings and real estate listings, among other sources, to produce the annual list. Many wealthy individuals shield their purchases via trusts, shell companies and other corporate structures, making ownership difficult to ascertain in some cases. OWN YOUR OWN MOUNTAIN RANGE. King Land & Water has the $15.2 million listing on Texas’s 23,482-acre Agua Fria Ranch, which sits 60 miles south of Alpine. Other enormous chunks of land currently for sale include 24 mountain peaks outside Salt Lake City for $39 million (price recently reduced), a 7,000-acre Georgia estate on the market for the first time in history, and T. Boone Pickens’s Mesa Vista ranch in Texas, where $250 million will net you 64,000 acres of the Texas Panhandle. For most Americans, land isn’t a financial necessity the way income or even wealth is, so we give little thought to the massive tracts of countryside trading hands every year. From The Washington Post, December 21, 2017 © 2018 The Washington Post. All rights reserved. Used by permission and protected by the Copyright Laws of the United States. The printing, copying, redistribution, or retransmission of this Content without express written permission is prohibited.